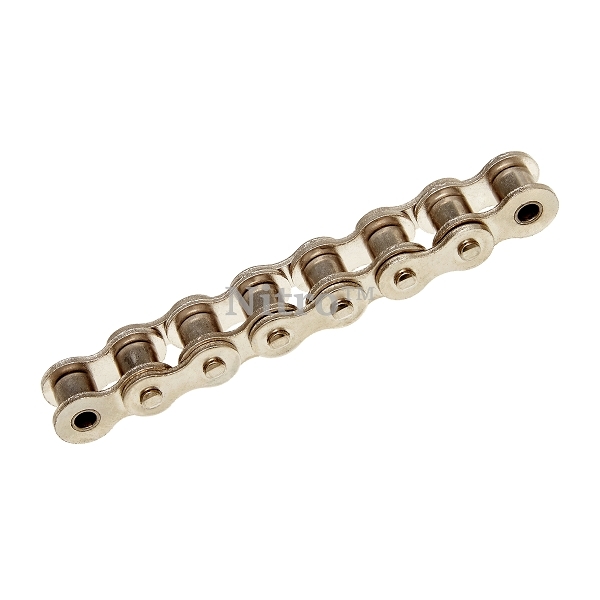 Link Plate Height (h2): 0.346"
Link Plate Thickness (T): 0.050"
Nickel plated roller chain is commonly used outdoors were corrosion may be a factor. Mainly resistant to light corrosive areas. 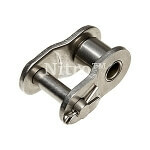 Q: What is the difference between 35N chain and 35NP chain? A: Never heard of just a "N" designation. 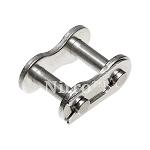 Nickel Plated is usually always designated at "NP". I would recommend contacting the company that shows the "N" designation to see what it standards for.